• Isotonic drinks that consist of water, mineral salts, vitamins and rapidly digested sugars. 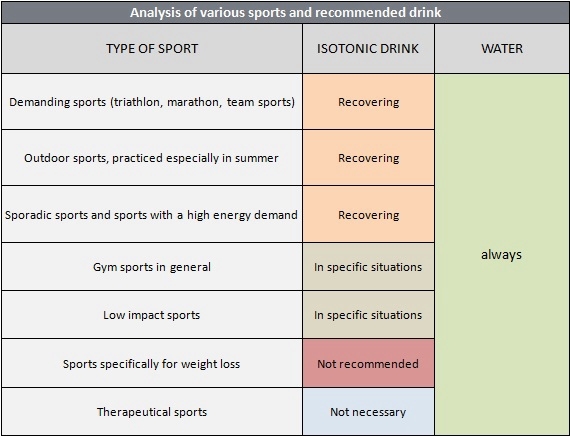 If your sport is demanding, choose preferably isotonic drinks combined with water. Otherwise, drink water before, during and after the training session. If you have any questions related to appropriate hydration methods, please contact our nutritionist for more details.